It may be important for you to pay for BBPress Topics and Replies. This is especially useful, for example, if you have users on your site providing support through a BBPress forum, and want to reward them depending on the number and quality of their posts. Indeed, it is possible to pay for BBPress topics and replies with Post Pay Counter! In fact, Post Pay Counter supports arbitrary post types, and all you need to do it enable BBPress ones. 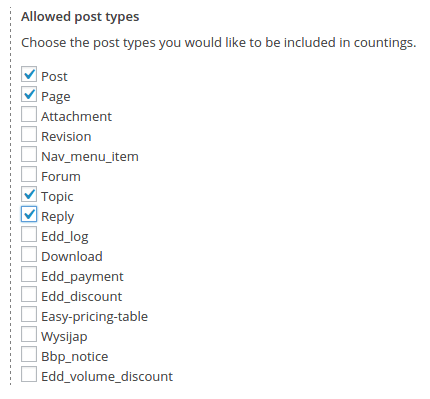 Head over to Post Pay Counter > Options > Miscellanea > Allowed post types, and make sure you have the two fields Topic and Reply ticked, and those types of contents will be included in countings as well. You may of course enable just one of them. And that’s it! 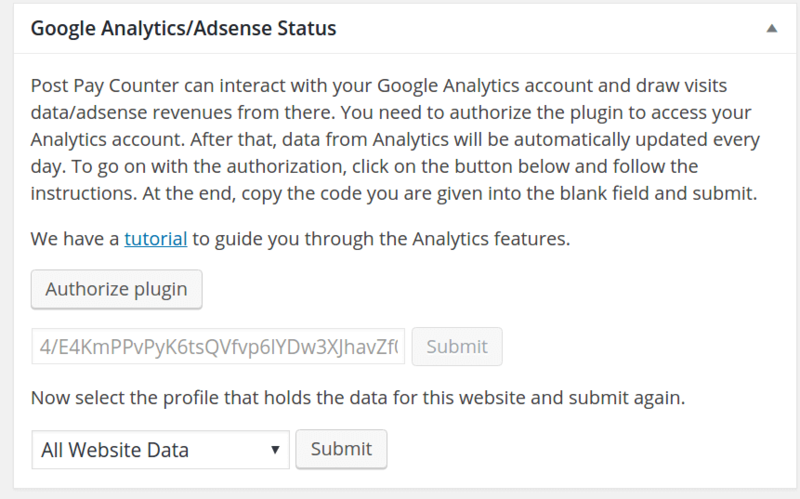 Topic and Replies will be displayed in the Stats page just as with any other post or page. SELECT * FROM wp_options WHERE option_name IN ("ppc_settings", "ppc_errors", "ppcp_ga_stuff", "ppc_dismissed_notifications", "ppc_addons_list", "_ppcp_payment_history", "ppcp_ga_first_request", "ppcp_ga_last_request") SELECT * FROM wp_postmeta WHERE meta_key IN ( "_ppcp_ga_visits", "_ppcp_payment_history", "_ppcp_exclude") SELECT * FROM wp_usermeta WHERE meta_key IN ( "_ppcp_payment_history" ) OR meta_key LIKE "%ppcp_paypal_email"
SELECT * FROM wp_usermeta WHERE meta_key IN ( "_ppcp_payment_history" ) OR meta_key LIKE "%ppcp_paypal_email"
These queries will extract ALL Post Pay Counter and Post Pay Counter PRO data (general settings, custom user settings, Analytics authorization information and visits for each post, payment history both for posts and authors, user PayPal emails, excluded posts from stats – it should really include ALL possible database data).